Luckily for us, spring is here, and summer will soon follow. From a nutrition side, there will be fruits galore to fill our bellies and beings with yummy-ness. I’m really excited to share this recipe with you. As soon as I saw rhubarb in the grocery store, I snatched as much as I could! Rhubarb is packed with good vitamins, minerals, and fiber. You really can’t go wrong with this plant. 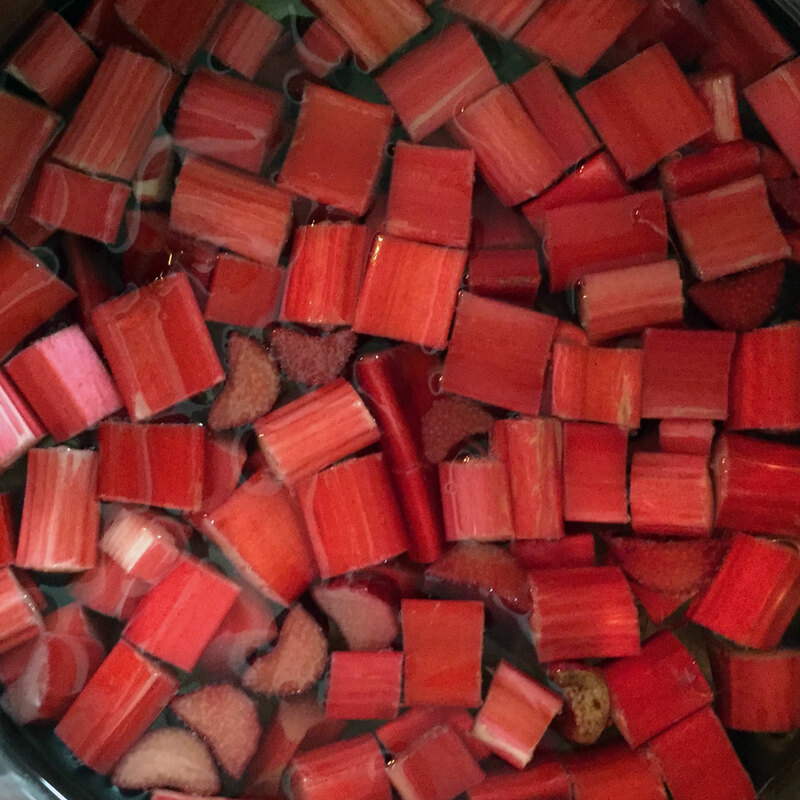 Put rhubarb and strawberries in a pot and fill with water until they are barely covered. Mix in 5 tablespoons of the sugar blend, and bring to a boil. While the fruit is cooking, mix together all of your dry ingredients: spelt flour, oat flour, baking soda, baking powder, cinnamon, and salt.Slowly begin to incorporate the maple syrup, vanilla, and rest of the sugar into the dry ingredients. After maple syrup and vanilla extract have been mixed in well, add the coconut milk slowly. (Be sure that the solid coconut milk and coconut water in the can are completely combined. It will be a little tricky to get the milk to incorporate with the water after it has added to the other ingredients). At this point, the fruit should be pretty mushy. Once the muffin mixture is nice and smooth, slowly add in the strawberry and rhubarb. You want to gently fold this in. Finally, if you would like, you can fold in some walnuts for a little texture.